Of course, parents and prospective students are concerned about the honors curriculum, the quality of instruction, and the success rate of graduates—but let’s don’t forget that at the end of the day, literally, what may matter most is where we go to rest, or study, or…eat. As a general rule, honors programs and colleges assign honors students to the best residence halls or dorms on campus. 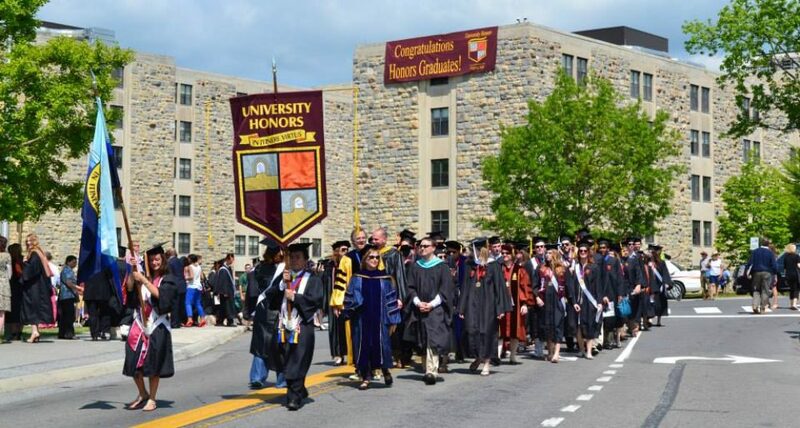 Honors colleges might offer an advantage, versus honors programs, in some cases because the colleges are often established or expanded in accordance with the principle that honors students are a group apart that will benefit from housing that is quieter, more centrally located, or more open to living/learning opportunities. Although we do not plan to discuss the residence halls in alphabetical order according to the name of the universities of which they are a part, the first honors residences we will mention are those at the University of Alabama at Tuscaloosa. These dorms are located in the same general area. Riverside stands out because the pool and clubhouse that serves all the honors halls are located there. Another important feature of the honors dorms is there location near Lakeside Dining, which is said to have the best food on campus. The honors quarters offer a choice of (relatively) spacious rooms: singles, or two and four room suites. Some of these have shared kitchen facilities and a shared and furnished living/dining room. Honors halls are not the closest residences to the center of the UA campus, but they are only about 10 minutes away from the heart of the campus, and are they quite close to the “Ferg,” the university’s student center. Some students believe that Lakeside/Ridgecrest are the best honors dorms because they have full community kitchens, especially important to students who enjoy the chance to cook some of their own meals. Another great feature of UA residence halls is that the honors dorms are not the only excellent dorms on campus. Overall, UA housing is far above average, and in some cases is outstanding. This entry was posted in Honors Residence Halls and tagged Honors Residence Halls, University of Alabama by Honorsadmin. Bookmark the permalink.